Herbal medicine is common, widespread and extremely ancient. Some estimate that herbal medicine is what 80% of the world’s population uses for health care. Human beings have been using plants to treat illness as far back in time as we can determine. It is probably the oldest method of healing. The use of plants for healing is so extensive and archaic that humans cannot even claim exclusive rights to the activity. There is evidence that monkeys and other animals seek out specific medicinal plants when they are ill. Not only is there consistency in the plants these animals select, but scientific testing has found that these plants often have biologic effects (e.g., antibacterial) that should be helpful to that sick animal. In 1993, the first national survey of the use of alternative medicine by the American population was published, showing that 3% of us were using herbs. Four years later the Landmark Foundation published another national survey showing a five fold increased use of herbs. That same year, the lead investigator in the 1993 national survey, repeated and expanded the study, finding that 20% of Americans taking prescription drugs were simultaneously taking herbs. Very little was known about interactions, so this made medical doctors very anxious. Most American using herbal medicine do not do so under the direction of a medical doctor. Many use herbs without the guidance of any health professional. Other data, developed by manufacturers, are equally impressive. From 1991 to 1997 the sales of herbs in the US increased by 500%. In 1994, there was $1.4 billion in USA sales of herbal medicines.Staggeringly, during one 6 year period in the 1990s, the use of St John’s Wort increased over 2800%.Sales have continue to rise, topping $5 billion annually in 2011. The most widespread use of herbs in the US has been among the elderly. 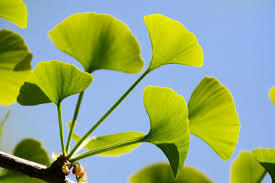 Ginkgo, most commonly used to improve memory, has been the most popular single herb in the US. Ginseng and garlic are used primarily for aging-related concerns, and their sales numbers are very close to those for ginkgo. This pattern of extensive usage by a portion of the population most likely to also use prescription medication highlights the concern about interactions between prescription medication and herbs. This concern is even greater because of the high likelihood that the physician prescribing medication to a patient is unaware of the patient’s simultaneous use of herbs. Additionally, we are still early in the process of learning about the extent and nature of herb-drug interactions. A more accurate adaption of Emerson’s comment to today’s world might be that a weed is a plant YOU don’t know how to use. In keeping with the regional variation of plants, many generations of human beings learned to use their local plants to address their health problems. As Western medicine became increasingly tied to chemical refinement and synthesis, we have been neglecting and forgetting what our ancestors learned from experience over millennia. The similarities and differences in regional usage of herbs is very interesting. For example, ginseng and rhodiola are quite different botanically, chemically and in their geographic distribution. However, the populations living where they each grow use them for similar problems. On the other hand, there are many instances where the identical herb or a very close sister plant is used for different purposes by tribal populations less than 100 miles away from each other. In addition to the massive weight of thousands of years of clinical experience of the benefits of herbal medicine, there has been considerable research evidence of efficacy from the very beginnings of scientific study of herbal medicine. Although careful and critical scientific investigation of all therapies helps lead us to effective and safe therapies, laboratory studies are a very long way from the reality of clinical medicine. Sadly, even the best clinical trials are flawed and can be terribly misleading. Consequently, traditional experience of the use of herbs must be the knowledge base for our investigations and clinical application of herbal medicine. There are now many thousands of conventional medical studies, published in the most demanding medical journals, documenting the effectiveness of many herbs. In many cases, the evidence for these herbs is every bit as strong as the evidence of efficacy for the prescription medications used for the same conditions. There have been many direct comparisons of prescription medications and herbal preparations, with the herbs proving superior in effect and in their adverse effect profile. Scientific study can be used ideally to build upon and optimize traditional use of herbs. Learning the traditional lore as to how the plant must be processed, which part of the plant, what time of year, to whom it should be given and in what dose is only a first step. Comparing traditional usage patterns from one population to another can suggest the herbs most consistent or beneficial qualities. Scientific study can also teach us how to use the herbs components in even more powerful but potentially more risky ways. That potential for increasing the power of an herbal component and attendant risk may well be a defining characteristic of the confluence of pharmaceutical science and herbal medicine. Traditionally, herbs are used after only a small amount of processing, in the form of a tea or poultice. Every plant contains dozens of chemicals, and those chemicals always interact in some way. Usually those interactions are highly complex and entirely uninvestigated. When we try to discover the “active” chemical components of an herb, with the goal of isolating that compound and so heightening its biological impact, we also heighten the risk of this imbalanced, now pharmaceutical agent. As conventional and alternative medicine come together and evolve into what is simply better medicine for us all, it is important to recognize that conventional physicians have always been herbalists, although unwittingly. The roots of all medicine are firmly planted in the soil of herbal medicine. We just forgot that fact. Between 30 and 40% of currently used prescription medications contain active components made from processed plants. Very few of these chemicals can be synthesized less expensively. Some cannot be manufactured synthetically. In 1995, I led a survey of US medical schools and FP residency programs to learn about whatever instruction they offered their trainees regarding complementary/alternative medicine (CAM). At that time approximately 1/3 of US medical schools offered some instruction with less than 1/3 of those offering CAM instruction teaching anything about herbal medicine. 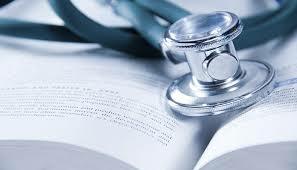 Since then the situation has improved considerably, primarily because physicians and medical students demanded this of our educational institutions. Unfortunately, CAM instruction is still cursory and mostly simply designed to warn medical students and residents about the potential harm, rather than responsible usage. Scientific investigation followed by clinical application is leading to new uses for old herbs. 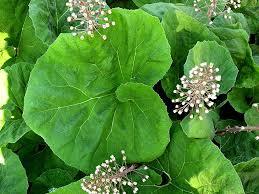 Butterbur was traditionally used for treating colic and asthma. It has now been found to be very effective for the treatment of allergies and migraine headaches. SJ Wort was traditionally used for emotional disorders and pain. We now have evidence that it seems to have potent effects on regulating blood sugar and insulin sensitivity. One of the most powerful and common factors motivating use of herbal medicine is the fear of toxicity caused by prescription medication. Ironically, herbal medicines too frequently come with toxicity concerns. This does not have to be the case. As any nervous parent knows, it is not safe for children or anyone for that matter to go out into the woods or even your garden and start eating plants. Similarly, proper identification of herbs is the first step towards the safe usage of plants. In 1993 a number of patients at a weight-loss clinic in Belgium died of kidney failure after they took an herbal mixture containing aristolochia instead of a similar herb,stephania. Because of the potential confusion between these herbs, at least one high profile herbal manufacturer decided not to sell stephania. Although they were confident about their own ability to identify the herb, they feared that by selling stephania they would be encouraging its use and consequently increasing the likelihood of someone accidentally purchasing the misidentified toxic aristolochia from other manufacturers. When St John’s Wort first surged into the American consciousness, the LA Times purchased seven bottles of St. John’s Wort from various stores and then had the herbs chemically analyzed. Three of the seven bottles did not contain any measurable quantity of St John’s Wort. They did not determine what herbs were used. In more recent studies, problems with identification and quality of St. John’s Wort persist. In 2003, the ARCHIVES OF INTERNAL MEDICINE published a study of the herb,Echinacea. There are different forms of Echinacea– most common are Echinacea purpurea, Echinacea angustafolia and Echinacea pallida. Each of these herbs have somewhat differing biological effects. In this study none of the 59 samples purchased from local stores contained what the labels said they contained. Half of the time the wrong species of Echinacea was identified. Six had no Echinacea. The quantities contained were also often substantially above or below what was listed on the labels. We usually have little if any idea which one of the hundreds of chemicals in any one herb that creates the herb’s beneficial effects. The optimal effect may depend on some combination of those chemicals. Traditional herbal wisdom is the best place to begin. Dried herbs usually have the best balance of chemical components, and so are usually the best source material for the processed herbs you buy at the store. Surprising to many Americans, in India the price of herbs increases as they sit on shelves, drying out more and more, because they are then believed to become more potent. The proper part of the medicinal plant must be used. Sometimes it must be collected at a specific season or time of day. Then it must be processed in the correct way. For example, the hairs of ginseng are traditionally thrown out, as they are believed to be ineffective or even detrimental, but there are ginseng products sold in the US made exclusively from these hairs (clue- they are quite inexpensive). Companies have been working to identify what are called “marker compounds” which we can test for, and then semi-confidently determine which herbs are reliable. For many herbs there is more than one marker compound. As examples, we look for anthocyanosides in bilberry, echinacoside in Echinacea, escin in horsechestnut, kava lactones in kava, ginsenosides in panax ginseng, eleutherosides in Siberian ginseng, hypericin and hyperforin in St John’s Wort. The presence of established levels of marker compounds in the final product can also reassure us that the processing did not remove the chemicals most likely to be helpful. A study of over 2600 samples of traditional Chinese herbal medicines in Taiwan found that 24% had at least one conventional prescription medication in the mixture. 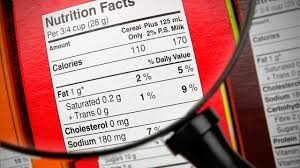 A similar study in California found that 7% of the 251 samples analyzed contained prescription medication that was not listed among the ingredients. Among the pharmaceuticals commonly found in these herbs are steroids, diuretics, pain medications and drugs used to control seizures. One of the most notorious episodes of adulterated herbs occurred with the product, PC-SPES, which was used to treat prostate cancer. Initial scientific studies and clinical reports looked very promising, and the last medical school I worked for (University of California, San Francisco) was conducting a clinical trial. It generated a great deal of excitement for a couple of reasons. First, it was the first serious investigation using herbs for cancer treatment at a major medical institution. Second, this combination of herbs appeared to have effects that none of the individual herbs had alone. The consequences of demonstrating synergistic effects could be dramatic. The study compared antihormonal treatment of prostate cancer using DES (diethylstibesterol) with the PC-SPES herbal combination. As the study was underway, early results showed that men in the PC-SPES were doing better, with twice as many patients showing a 50% drop in their PSA levels. However, following up on a recent report of adulterated lots of PC-SPES, the investigators analyzed the PC-SPES and found it contained DES. They immediately stopped the study and the manufacturers of PC-SPES went out of business. Sadly, there is still uncertainty about whether PC-SPES might actually have been helpful alone or in conjunction with DES. Various batches of PC-SPES seemed to have been more or less effective in previous studies, and some studies showed DES contamination while others did not. The men in the UCSF study who received the DES contaminated PC-SPES were receiving only a few percent of the dosage of DES received by the men in the DES group. Given the suspicions and bad feelings engendered in this incident, it is impossible to see any study clarifying potential benefits of PC-SPES in the foreseeable future. You may have heard about the controversy surrounding kava kava. There were reports of liver damage coming out of Europe. Despite hundreds of years of widespread use in the South Pacific, this problem was previously unknown. Swiss researchers have linked the kava liver toxicity to the process of extraction used in Germany and Switzerland. The highly toxic chemical acetone was used to extract what they determined were the active components of the kava. It is still controversial whether or not all patients experiencing this life-threatening problem were also taking prescription medication, usually sedatives. Prescription medications are often highly toxic. Herbs are rarely so. The combination, however, can be dangerous, because the herbs can alter the metabolism of the medication. Ironically, this potential has falsely led many physicians to become highly critical of herbal medicine, when in actuality it is our prescription medications which are primarily to blame. The bottom line is that for your own safety, as well as the education of your physician, you must tell him/her if you are using any herbs while you are also taking prescription medication. The best “medical” herbs (i.e., ones that have been carefully processed for use by professionals treating diseased patients) will provide detailed and reliable information about the herbal preparation inside the bottle. They are usually sold as extracts, listing the nature of that extract and identifying the quantity of any “marker compounds”. Marker compounds are thought to be the active substances in the herbs creating the desired clinical effects. So, good manufacturers will analyze the extract to insure that sufficient levels of these marker compounds are present in the final extract. In addition, they will include this information on the label, generally specifying a minimal concentration of those compounds. You are wise to avoid proprietary blends of herbs. In the interest of maximizing profits, herbal manufacturers in the United States are allowed to sell blends of herbs without telling the consumer how much of each herb is included. You have no idea how much you are taking, and this can easily become a means for hiding bad herb processing and selling poor quality herbs. Fortunately for them, citizens of other countries are better protected. Remember that the numbers by “extract” tell you a lot about the strength of the product in your hand. A 100:1 extract means that the product has been concentrated to a strength 100 times that of the source material so 1 mg of the product came from 100 mg of herb. Conversely, when the ratio is the other way around, for example 1:4, it means that the 200 mg tablets contain 50 mg of the herb. Turning this into a math problem should make it easier to understand. If A:B = 1:2, the one part of the herb is now contained in a volume twice as large as it was to begin with. For example, one kilogram of herb was extracted into 2 liters of water. One liter of water weighs one kilogram. So, that one kilogram of herbal is now spread through 2 liters. This is a 1:2 extract. There are one thousand milliliters (ml) in every liter and one thousand grams in every kilogram. So, one ml of a 1:2 extract contains ½ of one gram. In medicine we usually measure medication doses in milligrams (mg). So, ½ of a gram is the same as 500 mg. That means that one ml of a 1:2 extract contains 500 mg of the original dried herb. The good news is that we are investigating the medicinal uses of herbs at a pace never seen before. Unfortunately there is bad news as well. Vanishing resources is the key problem. On the side of clinical investigation, economic factors, including the lack of potential financial gains to those funding research and general economic conditions, do not favor costly medical research. It is impressive how much we have learned despite these factors. With climate change and expansion of development into wilderness areas, especially the rain forest that holds the huge preponderance of the world’s biologic diversity, every day we lose medically important plant species. It is not only plants that are changed by environmental change. The repository of traditional wisdom of medicinal plants has been the memory of elders living in those same regions of botanical diversity. Their numbers are dropping quickly as they die out. The successes of conventional medicine and the allure of civilization markedly reduced the number of individuals willing to apprentice with these healers to learn the knowledge of generations they carried forward. Many plants, once identified, can be cultivated. The loss of millennia of human knowledge cannot be regained. In summary, the use of herbs is a widespread, effective and generally safe means of health care. Like any effective form of treatment it is not without risk. Accordingly, patients with significant health problems should seek the care of professionals trained in the use of herbs, and anyone taking prescription medications must inform his/her physician about the herbs they are using. The American Botanical Council is an independent organization dedicated to providing unbiased educational information on herbs to the public, professionals and the media.